What a cute review! 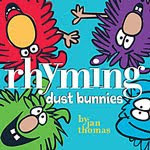 We haven't read Rhyming Dust Bunnies yet, but it sounds fun! I just read Rhyming Dust Bunnies to a preschool group this morning. Of course, they all loved Bob! Glad to see that you gave Bob the meat of the interview. He's the best. Cute idea! thanks for linking your post to book sharing monday! 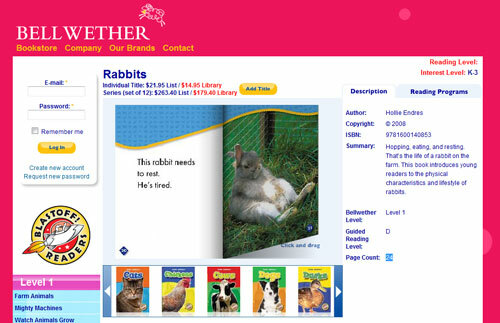 Both of these look like great books, and I have two kids that can't read enough books about animals, and one five-year-old who loves to rhyme. I'll make a note of them! You get serious creativity points for this one. Well done! Thanks for taking part. I've never seen this book- it looks so cute! And what a creative interview. You mentioned your daughter picking our non-fiction- my youngest always loved non-fiction when she was in preschool. One of her favorites was about chameleons. Fun post!